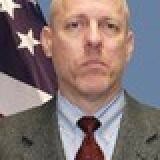 As Deputy Science Advisor at the U.S. European Command (USEUCOM), Steve Spehn supports the development and execution of technology-focused, Joint Rapid Acquisition Programs, to include Joint Capability Technology Demonstrations (JCTDs), Emerging Technology Initiatives (ETIs), Coalition Warfare Program (CWP) projects, and Rapid Reaction Technology (RRT) projects. Prior to taking this position, Mr. Spehn served over 22 years as a Marine Corps helicopter pilot, with his final tour as the Deputy Chief of Current Operations at USEUCOM. Mr. Spehn has a B.S. in Physics from the United States Naval Academy, where he was a Trident Scholar and Burke (Equivalent) Scholar. He has an M.S. in Electrical Engineering and the Degree of Electrical Engineer with Distinction from the Naval Postgraduate School.